Is iTunes Killing Music Nostalgia? It’s no secret these days. Everyone is well aware of how easy it is to download your favorite music in less time than it takes to find your car keys. It’s a natural progression in our techno-hungry world, and music was destined to change as the ability to receive it and listen to it changed as well. Written by Darrin Clouse · Filed Under Consumer Alerts!, Top Stories, Where's the Outrage? by Terry | Comments Off on Is iTunes Killing Music Nostalgia? The Space Shuttle Discovery soared over the Kennedy Space Center in Cape Canaveral, Florida to the cheers of spectators, before flying out out of the Sunshine state for good. It was a breathtaking site to watch America’s oldest shuttle mounted atop a NASA jetliner as it circled its home base one final time. This past summer we witnessed a true exercise in nonsense by our hard working members of Congress. While our nation drifted toward potential default on the federal debt, the House of Representatives struggled to overturn a Republican sponsored, bipartisan law enacted in 2007 and signed by President Bush, which mandated increased energy saving standards for the common light bulb. In four short years, the energy conservation law went from being a good idea Republicans and Democrats could embrace to becoming a Tea Party example of unwarranted government intrusion into our lives. 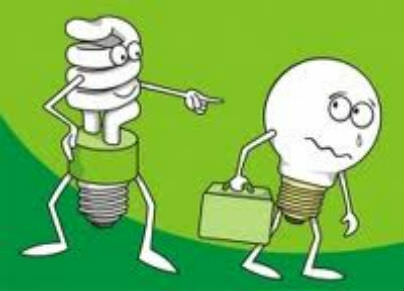 Thus, Representative Joe Barton (R., Texas) this year introduced the Better Use of Light Bulbs (BULB, get it?) Act, repealing any such energy efficiency standards, on the grounds that the former Act “bans” normal light bulbs and requires use of CFL’s (Compact Fluorescent Lights), those spiral shaped bulbs we’re seeing more and more often. It comes as no surprise that the latest polls show Congress’s approval rating at an all time low of 14%. If we disapprove of the job Congress is doing, why do we keep voting incumbents back into office, as we do year in and year out? A big part of the problem with our system is the two party politics that have infected this country from almost its beginning. Come national election day, no matter what the issues are or what we think about them, we are always faced with the same three choices: vote for the Republican nominee, vote for the Democratic nominee, or stay home. This is the case despite the fact that the Constitution makes no mention of political parties, two or otherwise. 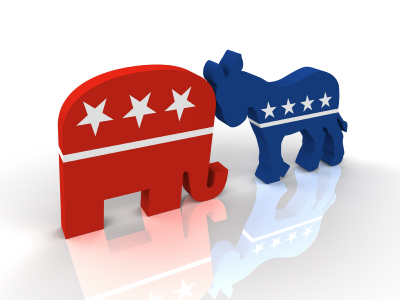 Only our first President George Washington, however, was elected without an affiliation with one of two major parties.